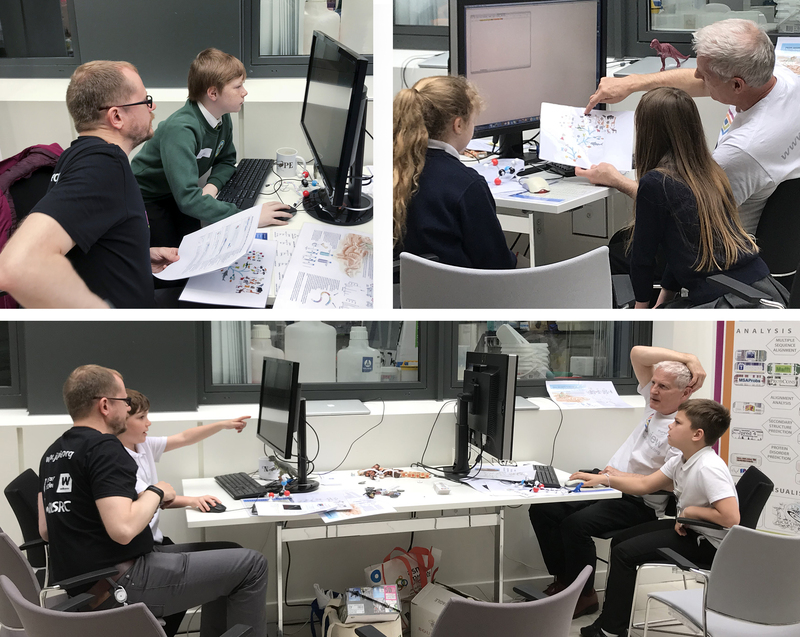 On Thursday 3rd May, 105 primary school pupils from St Clement's and St Francis Primary Schools visited the School of Life Sciences as part of the ‘Cell-ebration of Science’ event. As well as a drama workshop, the children could try out a variety of hands-on science activities. This included running Jalview and using our badge maker. Pupils loaded the collagen protein sequence of Tyrannosaurus Rex from Uniprot database (P0C2W2) into Jalview. They used multiple sequence alignment analysis to compare this fragment of collagen to those of other species.